How much will a DUI / Impaired Driving lawyer cost? It costs nothing to call and find out if you have a defence. Many people worry that they can’t afford to hire a lawyer. If you are facing impaired driving charges, then you are facing some potentially severe and life-altering consequences if convicted. You might lose your driver’s license, pay fines and face significantly higher vehicle insurance rates. You might even go to jail or lose your job. When you consider the seriousness of these consequences, how can you afford not to hire an impaired driving lawyer? An experienced impaired driving lawyer will be able to provide you with straightforward advice about your best course of action. For advice about impaired driving charges in the Hamilton area, call Frank Genesee today at (289) 426-1644. The call will cost you nothing. You’ll be under no obligation. There is no downside and the potential upside is considerable. Make the call today to protect your interests. Ask for a free legal consultation. Most impaired driving lawyers offer a free initial consultation. This means that you can meet with a lawyer for free in order to receive some advice about your case and decide whether or not you want to hire that lawyer. During an initial consultation, you will tell the lawyer about the charges against you and the circumstances of your case. Your lawyer will provide you with a preliminary assessment of the case against you. Don’t expect miracles, though! The lawyer often won’t have all of the information and documents in front of them that they need to provide you with a definite answer to all of your questions. 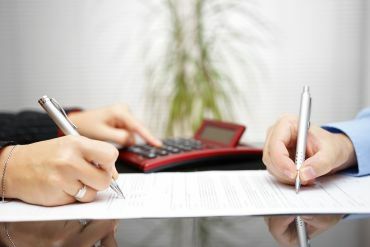 The initial consultation is also the best time to discuss the lawyer’s fees. Feel free to ask any questions you have about how the legal fees are calculated and what the lawyer will do to earn those fees. Attending a free consultation with a lawyer does not mean that you are committed to hiring that lawyer, or any lawyer at all. Decide that you do not want to hire a lawyer at all. Spend some time thinking about it before you make a decision. Shop around to see if you prefer to hire a different lawyer. Before you discount the idea of hiring a lawyer because you can’t afford one, attend a consultation with Frank Genesee and get all the facts about legal fees. Ask about a fixed fee for legal services. 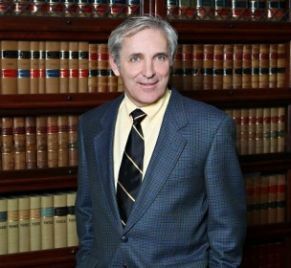 Many experienced impaired driving lawyers charge a fixed fee for their services instead of an hourly rate. They are able to do this because they can estimate how much time they will need to spend defending your case. A fixed fee offers you the advantage of knowing in advance the exact amount of your legal fees. The complexity of your case. The estimated time it will take the lawyer to defend you. The lawyer’s experience and reputation. The fixed fee will generally cover all the meetings that you have with your lawyer and any expected court appearances. For most people, hiring an impaired driving lawyer is an unexpected expense. Many impaired driving lawyers offer a payment plan option that allows you to pay your legal fees over time, rather than in one up-front lump sum. Most lawyers accept major credit cards and Interac. No matter what arrangement you and your lawyer come to regarding legal fees, your lawyer will set out the details in a written document known as a retainer letter. This letter will document the expected amount of your fees, how and when you intend to pay and precisely what your lawyer will do to earn those fees. Frank Genesee will alleviate your concerns about legal fees.